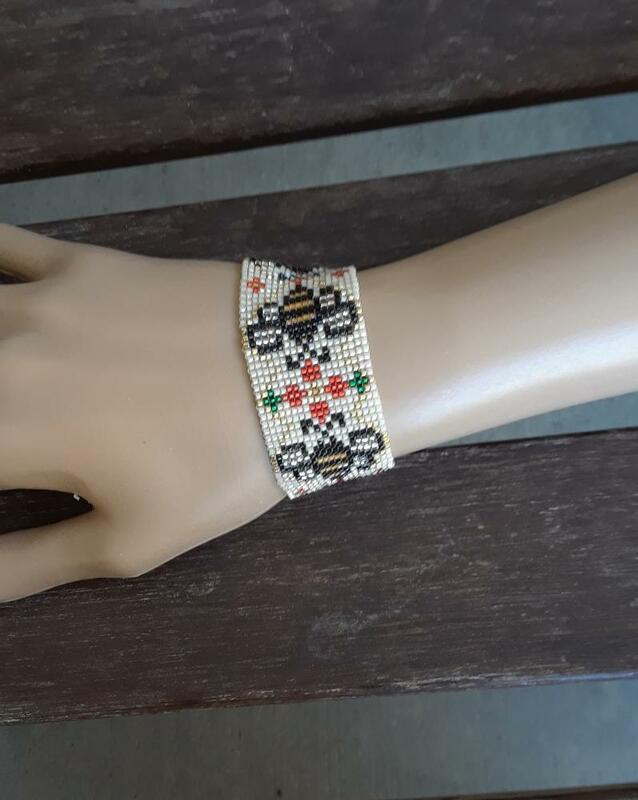 This pattern features a motif of cheery bees and dainty flowers for your wrist. The pattern can be worked in square stitch or on a loom. The finished size of the bracelet using Delica 11/0 seed beads is 1" x 6-1/2". The pattern includes a color chart, and a word chart.